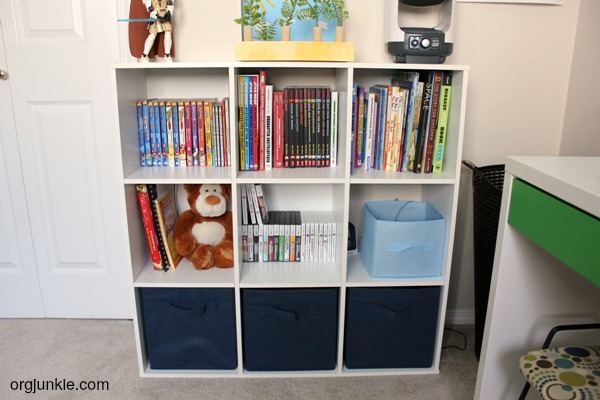 I’m digging into the archives today to republish this important post about how to teach your children to organize. And, surprise, it doesn’t involve tossing out their stuff on them. Teaching our kids how to organize is essential to their future. My kids are now 21, 18 and 12 and my advice below still holds true. I hope you find it helpful! If there is one thing I’m most passionate about when it comes to organizing is the importance of teaching kids’ how to organize when they are young. But there is one problem I see happening over and over again. 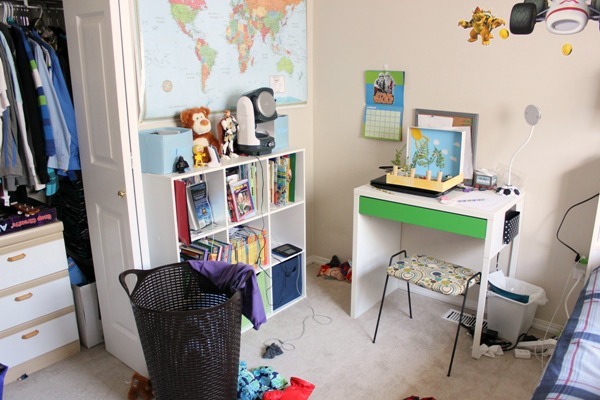 Parents wait until their kids aren’t home to go into their rooms and just start tossing things out. 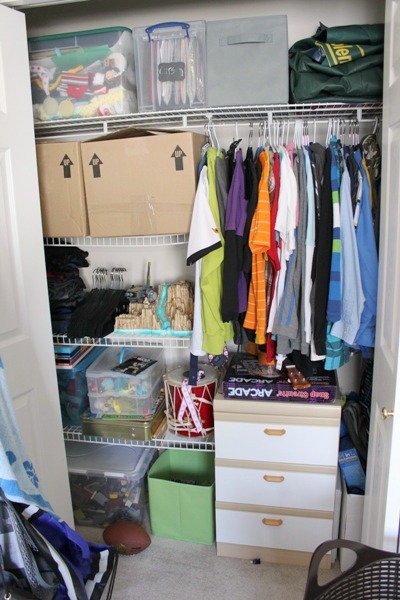 This works if you never plan on having teenagers who know how to manage their own stuff and keep their own rooms organized. It’s simple. You didn’t teach them how to do it. What was taught instead is that they’d better hang on to their stuff for dear life because if they don’t it will disappear. You’ve also taught them not to trust you. Ouch. I don’t know about you but I’m thinking that’s not the ideal we are going for here. Something else I want to touch on that should be considered is respect. In order to teach our children how to respect, we need to respect them first. I do believe this includes their things and what they value. Children need to know that what they say matters, that we care about their opinions and feelings and bents. It’s not only how we respect them, it’s how we gain their trust. -your kid is a hoarder and would keep everything they own for ever and ever. -the kids don’t miss the tossed stuff anyway so what’s the big deal? Great arguments for sure and I definitely agree with you on the first one. Yes it is so much easier (and faster!) 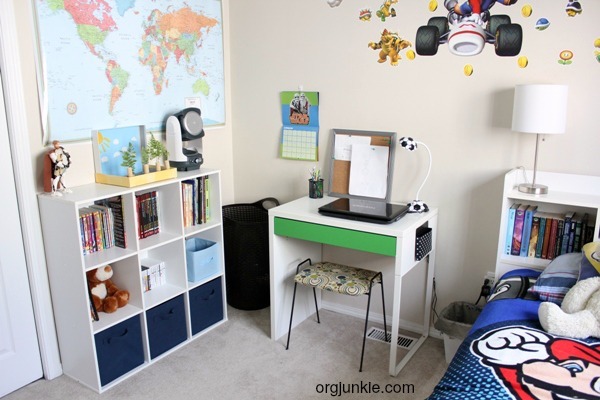 to organize when the kids aren’t present, hands down yes. BUT (you knew there had to be a BUT here right?) our job as parents is to raise independent kids that are going to eventually be out in the world on their own doing things all by themselves. And that includes organizing! And purging, hopefully purging. Most importantly, purging. Did I say purging? When kids practice the art of organizing and purging at a young age (starting at about 4ish) when the stakes aren’t quite so high they learn to trust their instincts. They also learn to make decisions and know that organizing is a necessary continuous PROCESS with consequences if not done regularly. How many adults do you know that never part with their things and instead allow this fear of letting go to keep them living in a state of stress and chaos? Maybe that’s you. I don’t want that for anyone. And we can change this by starting with our kids. Teaching them the PROCESS of how to organize and helping them to develop critical decision making skills at a young age. There are four golden rules that I think will help you do this. Next time you are tempted to hit up your child’s room when they aren’t home, with garbage bags in hand, stop yourself. Set up a time to do it alongside them. This is something I do with my son (10) every year, the very first day of summer break. 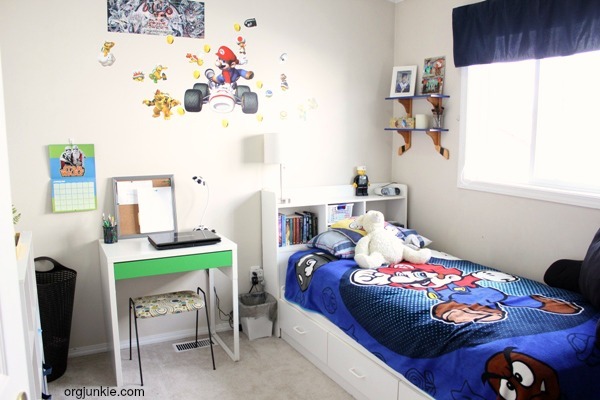 The months before school is out are busy ones and his room gets completely ignored. So last week, we tackled it together. Yes it took us awhile but now we get to enjoy the summer without that mess weighing us down. We took everything out of bins and drawers and talked about what was working for him and what wasn’t in such a small space. He wanted better access to his Lego so we set out to solve that problem together. 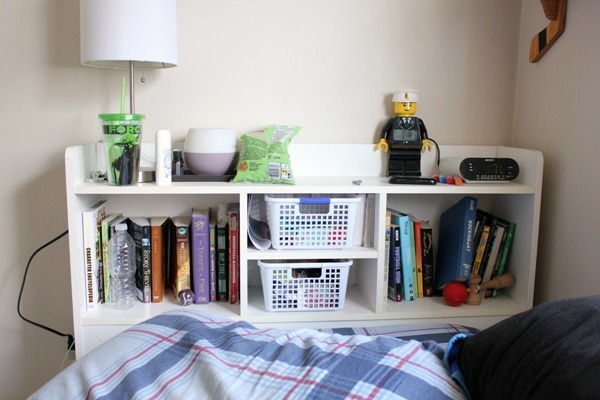 This wasn’t just about tidying up (although there is a place for that as well) but rather it was about making the space more efficient for his needs. It got him excited about what we were doing because it was going to make life easier for him in the end. He liked that. That’s not to say there wasn’t some mumbling and grumbling going on. We still had some of that, but he knows now (after years of practice!) that it will be worth it in the end. He understands that if he weeds out what isn’t played with he’ll have more space and access to the toys he does play with. For the kids who may hold everything near and dear to their hearts, you need to ask them specific questions to help them decide between what stays and what goes. 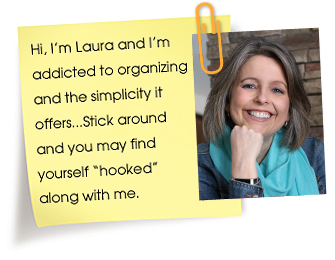 Organizing is all about making decisions and the younger children are when they learn to flex this “decision making muscle” the easier it will be for them to execute it on a regular basis. When did you play with this last? Which of these toys do you play with the least? You don’t play with this anymore, do you think another child might like to play with it now? Give them a choice between two things and ask them which one is their most favorite? I see you have two stuffed horses, which one is your favorite or would you like to keep this one or this one? Remember it might look worse before it gets better and that’s okay. Setting limits and boundaries for the toys will also help them considerably. Rather than it be a free for all, use containers to establish some boundaries according to the space you have available. 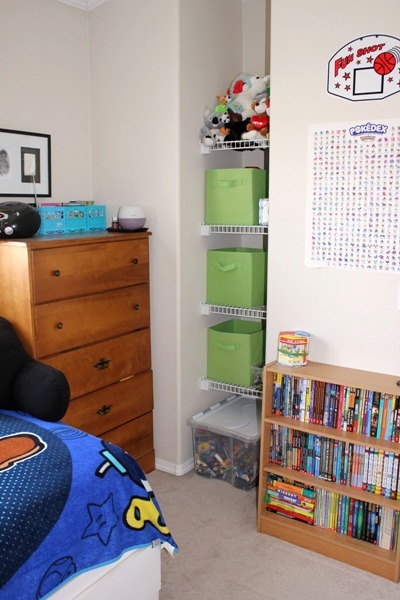 For instance, have a designated bin for Lego and when the Lego bin is full, tell your child that they get to choose what to let go of in order for the lid to close. It completely takes away the power struggle because it empowers them to control the outcome but within your boundaries. It really works! If your child likes to keep random treasures they have found, designate a treasure box for them for such things. When it’s full they have to make some tough choices about what stays and what goes. It forces them to evaluate what’s really important to them rather than just everything being of equal importance. When you first start out with this process of having them make their own choices, you will more than likely be met with resistance. Expect it but stay firm. I promise you this step gets easier and easier with practice. You might not always agree with what they want to keep but remember your favorites don’t need to be their favorites. 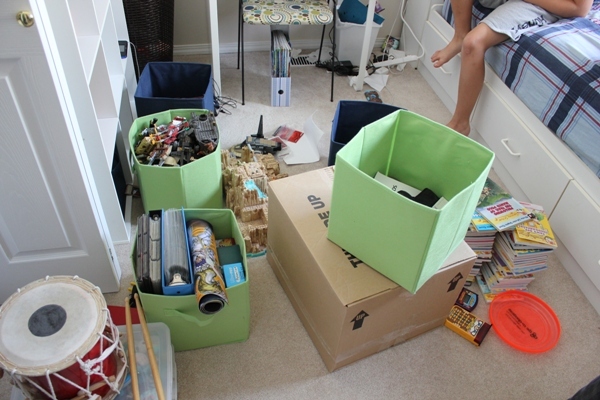 It will be hard not to question every little decision they make especially if you have hoarder tendencies yourself. There will be times you disagree with their decision but please try not to turn it into a big issue. It’s all part of the learning process. If you are constantly reminding them that “oh are you sure, Grandma gave you that?”, they will start second guessing everything and eventually shut down from fear of making the wrong decision or upsetting you. You empower them to make these decisions themselves alleviating potential power struggles. It’s your boundaries and limits but their choice what stays and what goes within those boundaries. 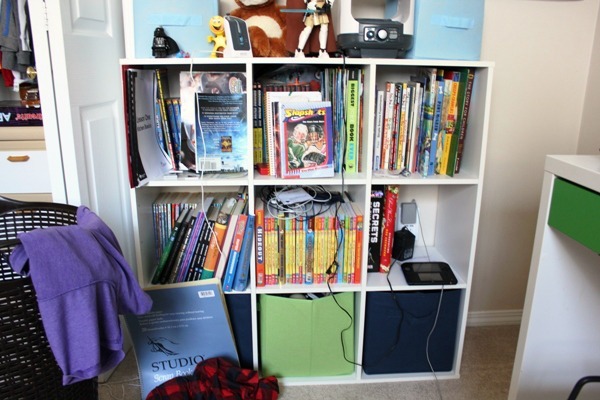 At 10, my son has gotten really good about parting with stuff, so when he said to me that he’d really like to keep his Geronimo Stilton books, which he absolutely adores but no longer reads, I agreed but asked him if we could put them away in his closet for keepsake. We found a container and space in his closet to do that for him. It made sense to me because they really were a favorite of his and we had the space. Everything has to be evaluated and re-evaluated on a case by case basis. We’ll look at this choice again in a year and decide if this is still something that makes sense for him to keep. If we didn’t have the space however a compromise would have been necessary regarding how many he could keep. I have been using these tactics for years, my kids are now 19, 16 and 10, and it makes me so happy when I see them, all on their own, add things to our donation station. Whether it’s out grown clothes or toys no longer loved I am thrilled they don’t have a paralyzing fear of getting rid of something. 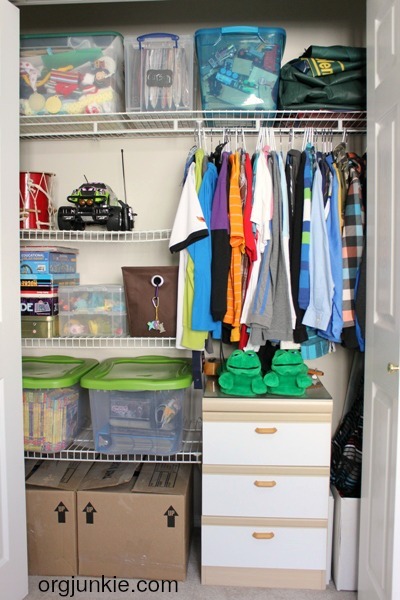 So next time you yell at your kids to go clean their rooms or are tempted to rush in with garbage bags and do it for them, ask yourself whether or not you have taught them the necessary organization skills needed to get the job done. It is possible for your children to learn how to organize and it will pay off in the long run, I promise! 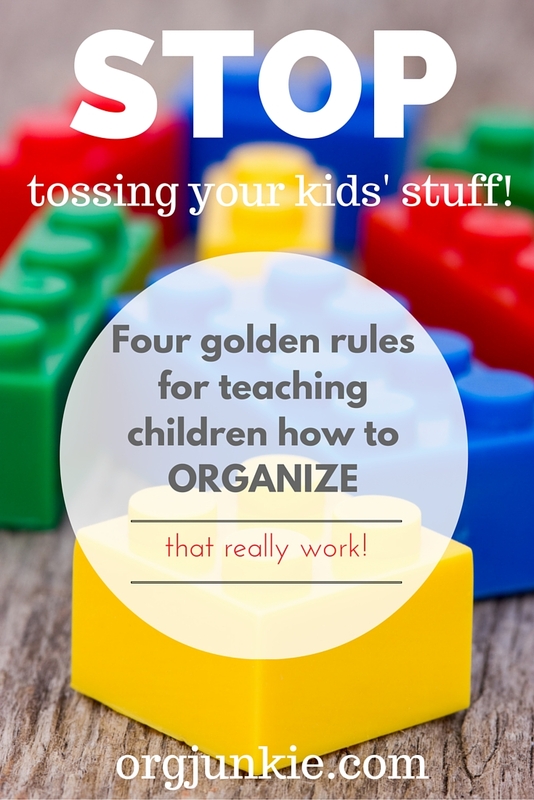 4 Responses to Teaching Your Children to Organize: Stop Tossing Their Stuff! So helpful and timely! My kids are away for the week and I’ve been feeling like I should get into their rooms and help them out by tossing some stuff. Thanks for these words of wisdom… will try it! Let me know how you make out Cheryl!! This is such good advise. They have to be part of the process themselves! 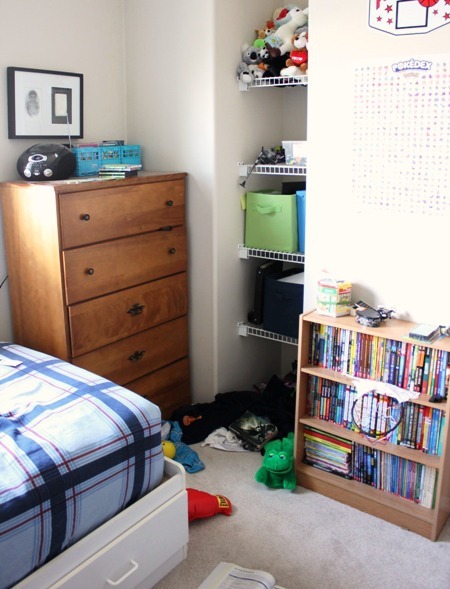 Our kids, 4 and 7, share a small ish room so organization is key! But it is so important that the organization is made for them according to their logic, so that they can maintain it themselves. And it is never too early to start. Our 7 year old is really good at it and our 4 year old is getting really good at getting her brother to do all the work for her… haha. One thing at the time. That’s so funny, what a smart girl! !